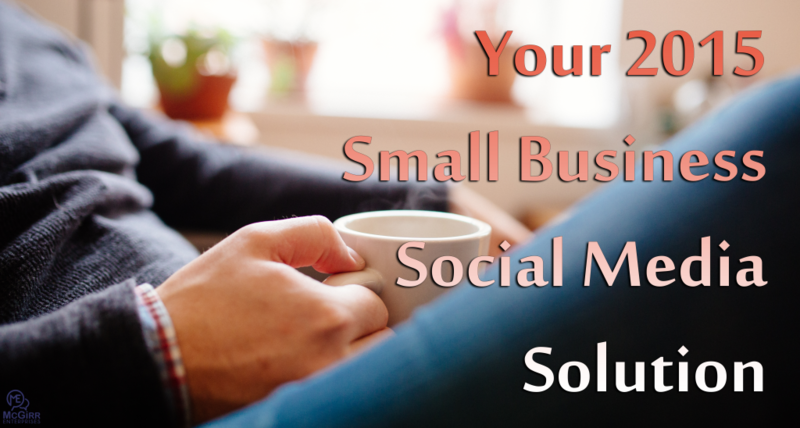 We’re in the Small Business Social Media Solutions…Business. I’m writing to inform you, my friend, that business at McGirr has changed. Oh, we’re still doing the same amazing social media strategy and management work we have always done. It’s just that, we’ve changed the way you pay for it, and I think we’ve come up with something rather unique. Quick history lesson: If you didn’t already know, I’ve worked hard to create a pricing structure that met the needs of the majority of professionals looking for our services. We had the basic plans, the one channel plans, the consulting/DIY plans and the content only plans. We also had the deluxe-platinum-universal-onnichannel, you-want-it-we-got-it, because-there’s-no-end-to-what-ME-can-do-for-you plans…and, we had everything in between. I knew from the start, 5-years ago, that there was no way we could have a one size-fits-all, cookie-cutter answer. Today, if someone wants to go into business with ME, we have one simple product. If the price is too high for you, good! We have a solution for that! If the offer is too vague, good! We have a solution for that, as well. We are your small business social media solutions provider. I know the service we provide has always been solid, but it’s also not cheap. It’s incredibly valuable and I have been downplaying that value for far too long. We’re still able to help just about anyone. If I’ve priced us out of your budget, then you can still hire ME as a consultant at a very reasonable price (Our consulting rate is 55% less than it’s been in the past).